2) Power quality: three-phase imbalance <2.5%, line voltage fluctuations <5%. 3) Grounding protection: make a ground pile at laser cutting machine’s side and connect the ground wire. 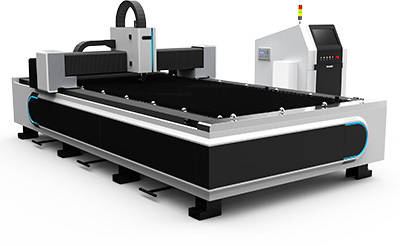 The laser cutting machine can also be connected to the power supply ground wire, requiring grounding resistance <4Ω. 4) Require good ventilation conditions, no dust, no corrosion, no pollution of the site environment. 5) The installation of the foundation requires that there is no large vibration around and excavate shock-proof ditch. 6) The laser is required to be installed at an ambient temperature of 20ºC (refer to the instruction manual when using the laser). 8) In order to prevent the occurrence of fire, the processing site should be equipped with appropriate fire extinguishers and set aside certain fire extinguishing channels. 9) The distance between the left and rear sides of the machine should be 1.2M or more; the rear side of the laser should be 1.5M or more; the chiller and air compressor can be placed outdoors, but the laser should be placed within 4M. 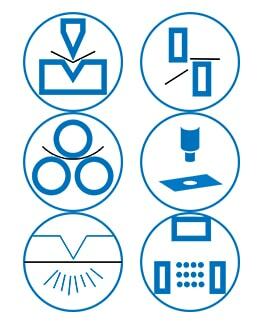 10) The control unit, the servo unit and the display and the control panel are the core parts of the laser cutting machine tool, have certain requirements on the environment, and should avoid the interference of the machine caused by electromagnetic waves, such as arc welding and EDM, etc., to affect the normal work of the machine.